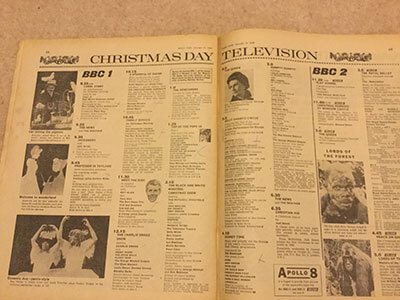 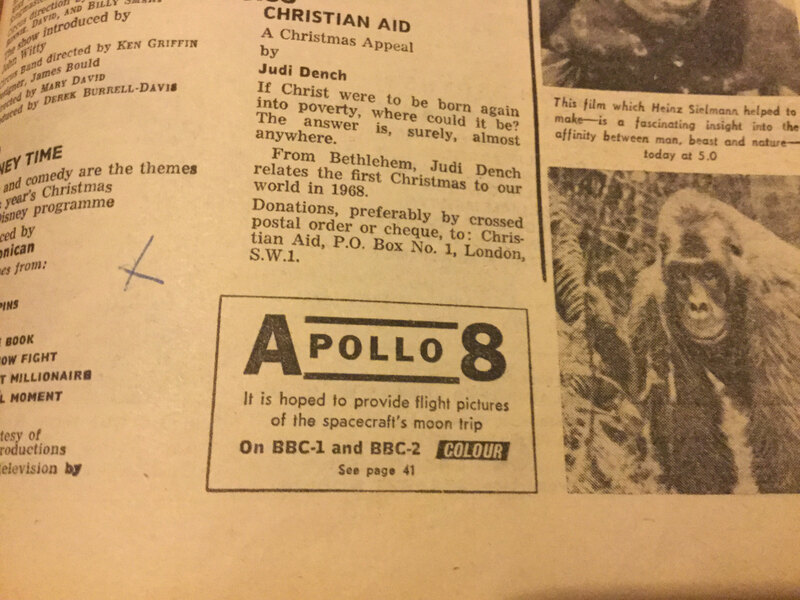 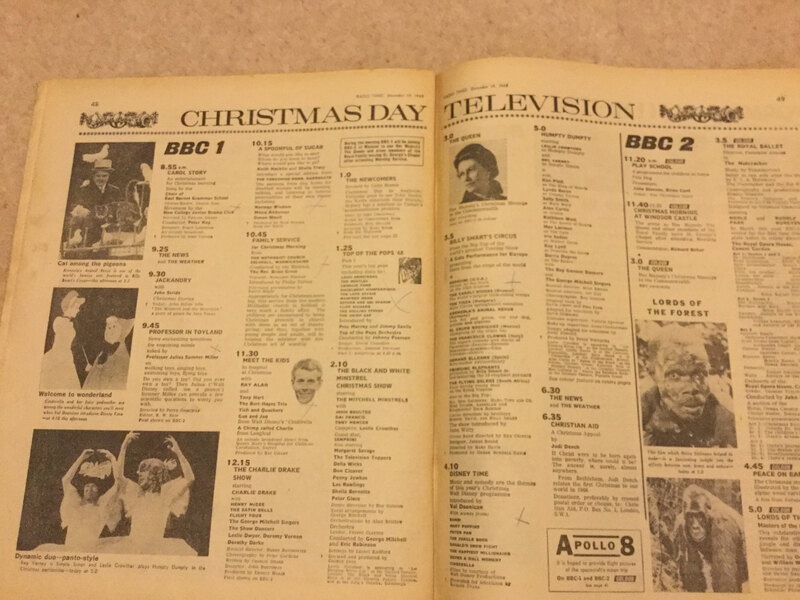 Thought it might be of interest to post the UK television listings for Christmas Day 1968. There are no hard scheduled times for transmissions from the moon, so I guess that it would have just interrupted scheduled programmes as and when. 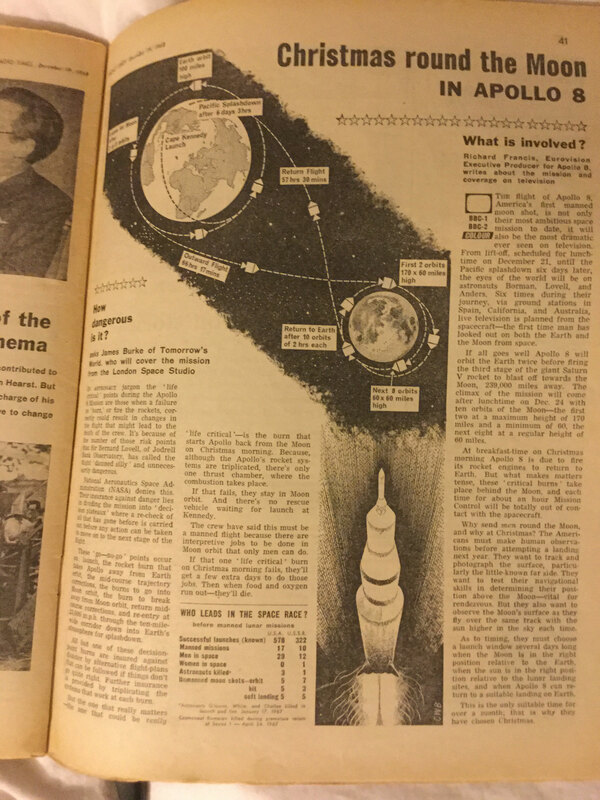 Also an interesting article on the technical risks that were inherent in the mission.